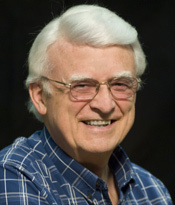 Les Lamborn has been in radio broadcasting for more than 35 years and has been the host/producer of Our Daily Bread radio for more than 25 years. He also serves as the Senior Radio Producer for the Radio Production Team and helps out on the production side of other RBC Ministries programs. As a graduate of Moody Bible Institute, Les loves ministry opportunities. Les uses ventriloquism to teach children about Jesus. He also serves in various ministries in his local church—especially in missions and work with international students. He and his wife of over 35 years have 3 adult children and several grandchildren. His hobbies include gardening and making ventriloquist figures.